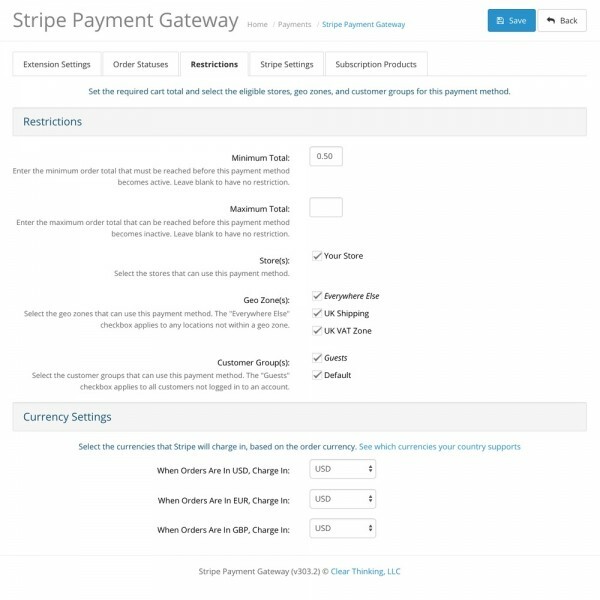 Restrict the payment method from appearing based on order total, store, geo zone, customer group, and currency. Set a different order status for authorized payments vs. captured payments, as well as if a payment does not pass the credit card CVC Verification, Address Line 1 Verification, and/or Zip Code Verification. 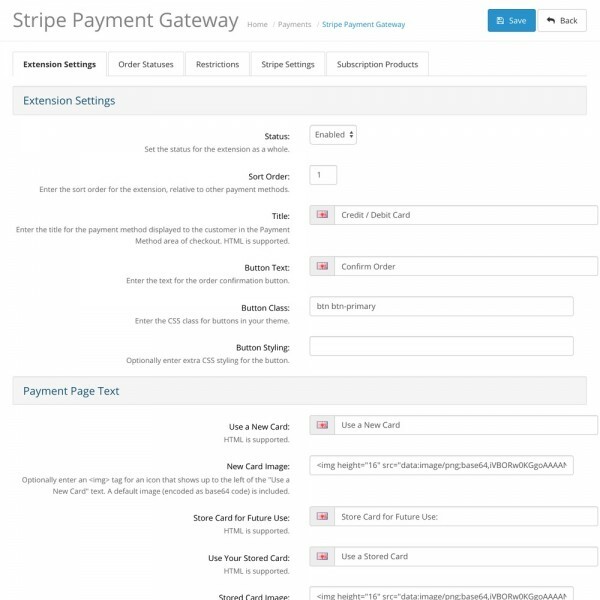 Use the included template file, or use Stripe Checkout pop-up to handle building and styling credit card inputs, validation, and error handling. 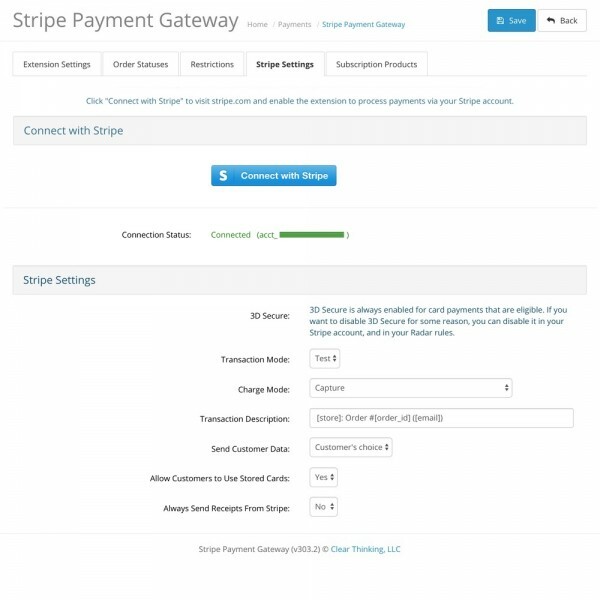 Quickly create subscription products, associated with a Stripe subscription plan, by entering the Stripe plan id in the product's "Location" field. 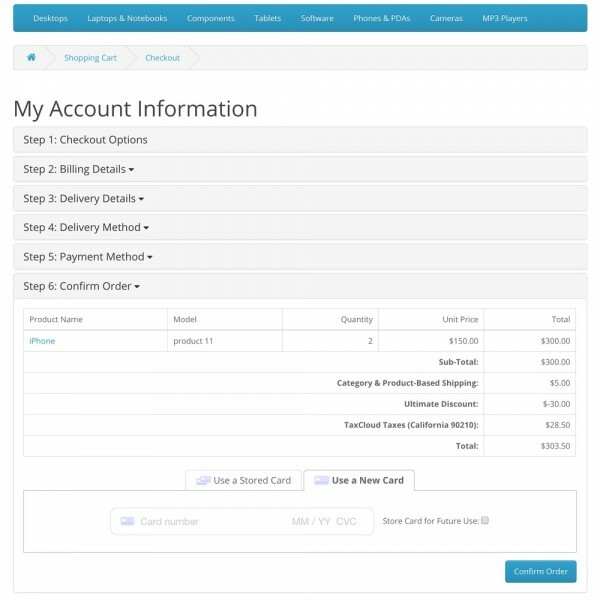 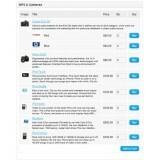 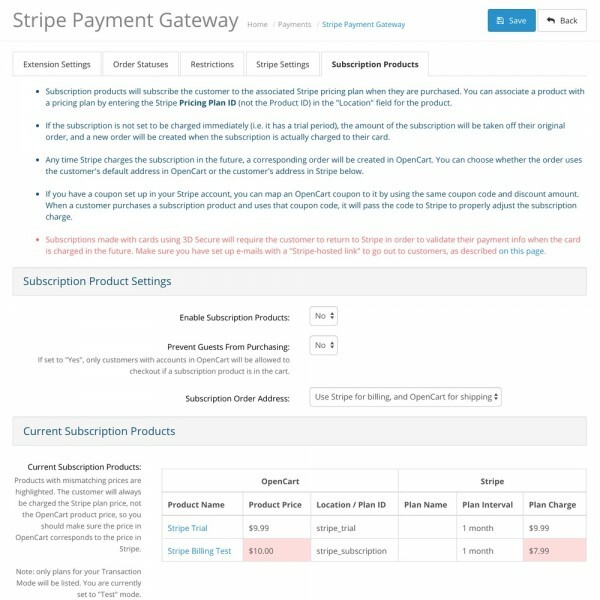 New orders will automatically be created in OpenCart every time the subscription is charged to the customer's card. 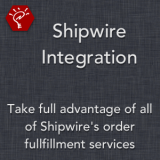 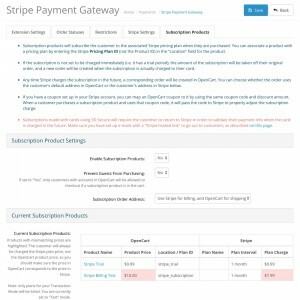 Stripe coupon codes are supported. 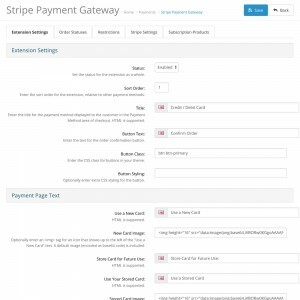 Utilize both Test and Live server modes, and Authorize or Authorize & Capture charge modes. 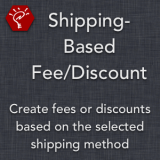 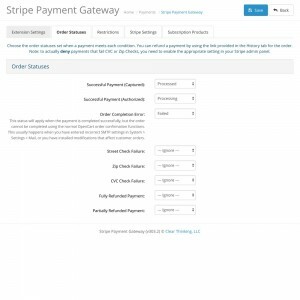 Automatically mark refunded orders with a particular order status using webhooks. 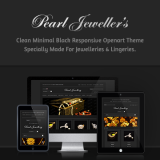 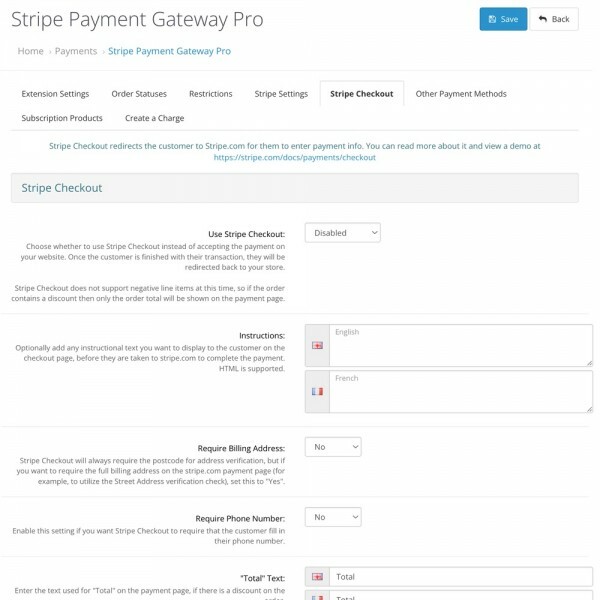 Submit all payment information dynamically using AJAX, without page reloads or redirecting to another site. 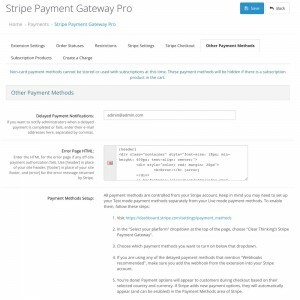 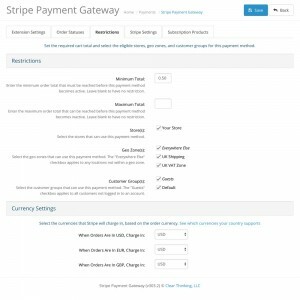 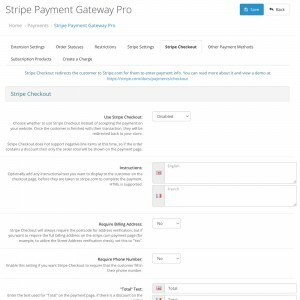 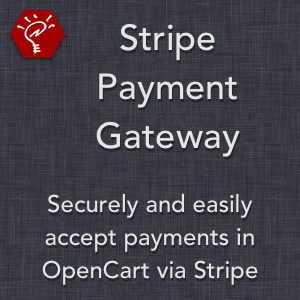 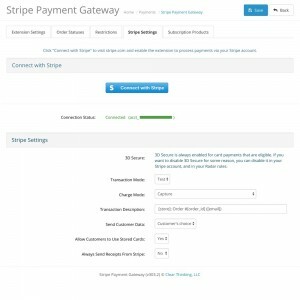 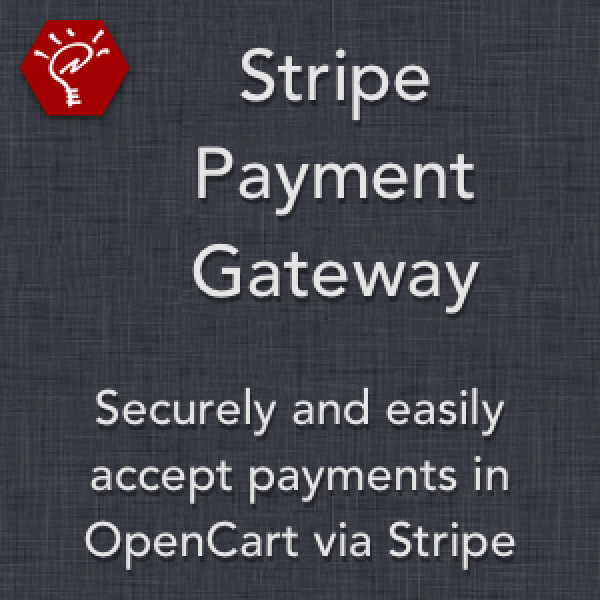 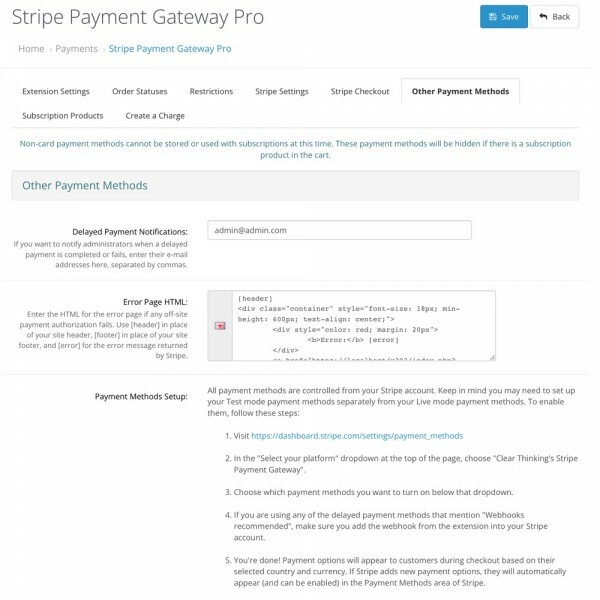 For additional features, take a look at the Stripe Payment Gateway Pro.